Learn about the proper ground temperature for your lawn and why it matters. You might be aware that there are different types of grass seed available on the market. You might even have noticed that there is cold weather versus warm weather grass types; but do you know how temperature can affect the way your grass grows? Understanding how temperature affects the growth of grass can help you find the right mix of seed for your landscape to ensure that you have the best looking lawn possible. There are several ways that your lawn can be affected by changes in the weather. To start, the way that grass seed is stimulated into growing can vary based on the average temperature of the area you’re located in. In areas with warmer soil, there is more energy available to help fuel rapid growth. Next, the changes in temperature can affect the growth and spread of different types of mold and fungus. Depending on the climate, soil conditions, and seed used both cold, and heat can result in different kinds of fungus and disease. Lastly, the temperature can have a significant effect on the ways that seed germinate. Regardless of a seed’s preference, they’ll only germinate when exposed to the right conditions, for some that may include a warmer or colder environment. If you live in an area that generally stays between the ranges of 50º to 65º Fahrenheit, a cold weather seed mix will be best for your lawn and landscape. For this lower temperature range, these seeds will grow strongest. Often, this grass type will suffer from root damage and death if the soil becomes to warm. Unlike its cold weather cousin, warm weather grass thrives in ranges of 64º to 110º. When exposed to the cold the roots of this grass will stop growing, and it will be unable to use its nutrients properly. 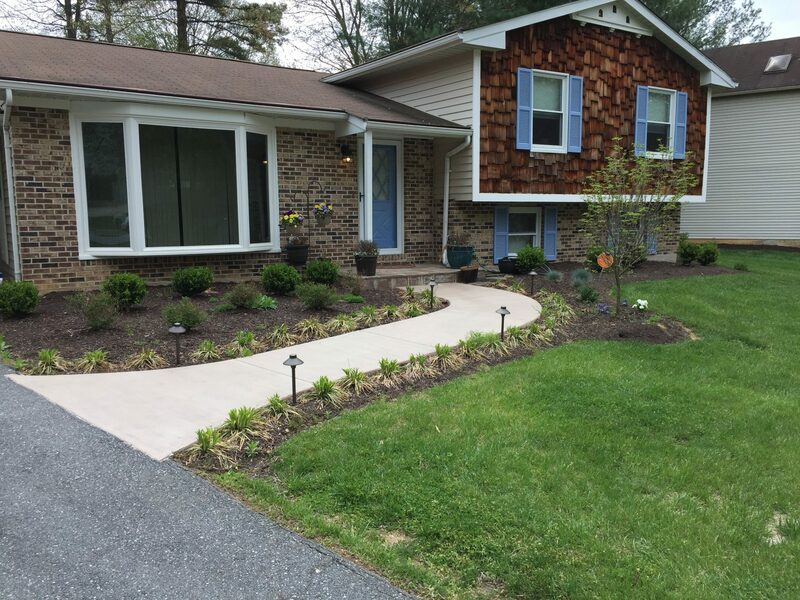 For temperate climates like those found here in Maryland, where the seasonal changes bring highs and lows that can range significantly, using a mix of seeds throughout the year can help you keep a beautiful lawn all year long. This entry was posted on Friday, February 8th, 2019 at 3:24 pm. Both comments and pings are currently closed.